A family-owned and operated sign company, ABC Signs manufactures, installs and services display signs for clients in the Greater Cincinnati and Northern Kentucky area. Our success and longevity is a testament to our commitment to provide unmatched quality and outstanding service to our customers. 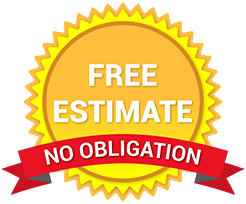 We’ve been serving the Greater Cincinnati and Northern Kentucky area for 40 years. We are proud of our diverse sign portfolio, which includes works for numerous clients throughout Greater Cincinnati and Northern Kentucky. Are confident we can help you, too. No matter your size, you can be assured that ABC Signs will treat you with respect and provide you with the expertise to meet your needs. ABC Signs has worked with some of Greater Cincinnati and Northern Kentucky’s largest companies as well as those with only a few employees. We invite you to experience the design, production, service and technology capabilities of a large sign company with the efficiency, value and consideration of a family-owned business.Not sure where to start? We can help. 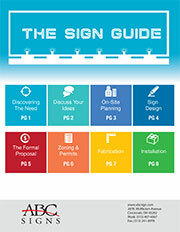 Experts at the ABC Signs sign company will help you find a simple plan to spread your message effectively to your Greater Cincinnati and Northern Kentucky audience, today and always.